If you prefer an understated scheme, achieve simple style by supplementing what you already have to create a festive atmosphere that is simple and heartfelt. 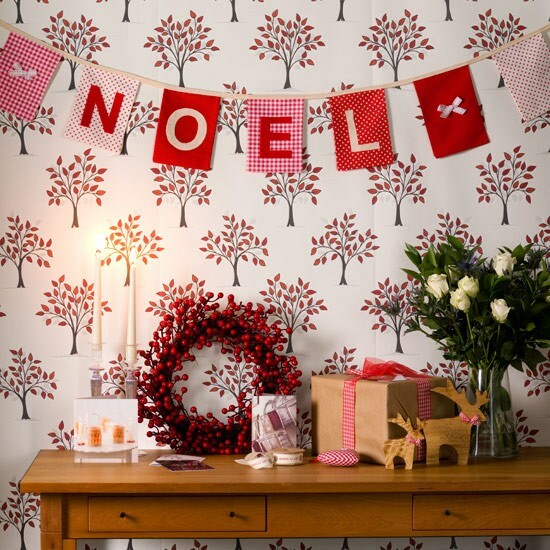 Give a neutral living room a Nordic twist with wooden decorations in red, white and warm wood. Swap the bauble-laden Christmas fir for a small-scale twig tree strung with fairy lights and wooden shapes. 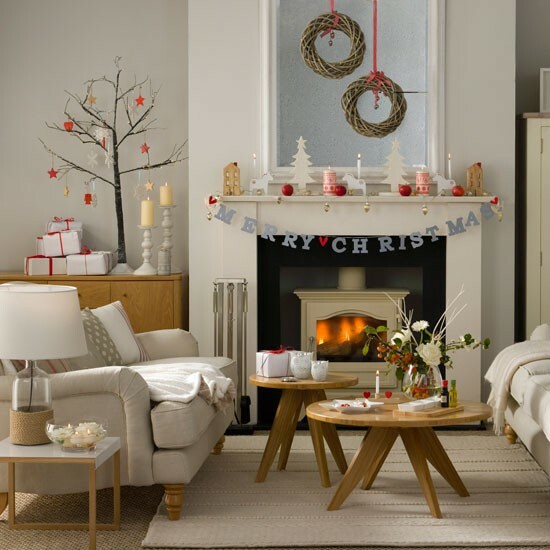 Decorate the mantel with a pared-back wooden garland and lights with mini twig wreaths suspended above. 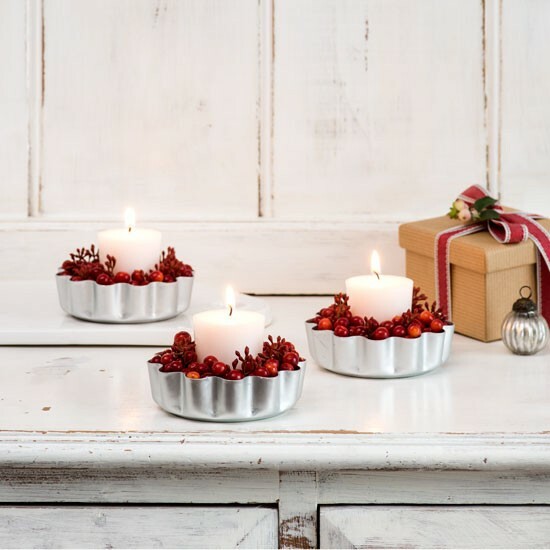 This simple idea will show your candles off beautifully, whilst a collection of berries will fill your home with a Christmassy aroma. To create your own, start by putting short candles in a couple of mini metal pastry cases. Next, wash and dry the fruit, then fill the remaining space with individual red berries. Display on a mantel or along a dining table. Think bunting is just for summer? Make a cute banner for your hallway using red and white check or polka dot fabric to greet Christmas guests and conjure up relaxed, homespun style. Print out the letters for NOEL (around H10cm) from your computer, cut out and use as templates on white felt. Sew to a variety of fabrics cut into rectangles and sew your finished flags to a length of bias binding.